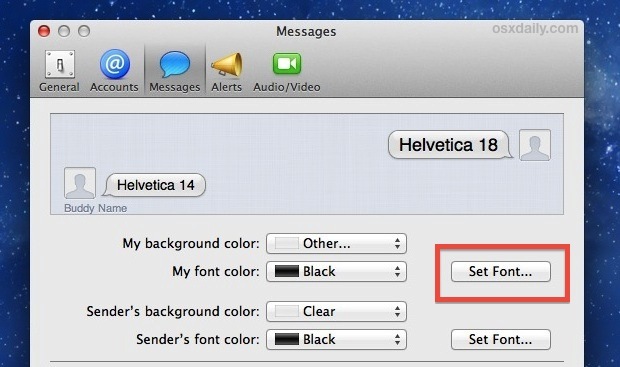 Interestingly, the Set Font button for a senders fonts is always available, so changing their text size is just a matter of clicking the button, it’s only your personal messages where it’s disabled by default. 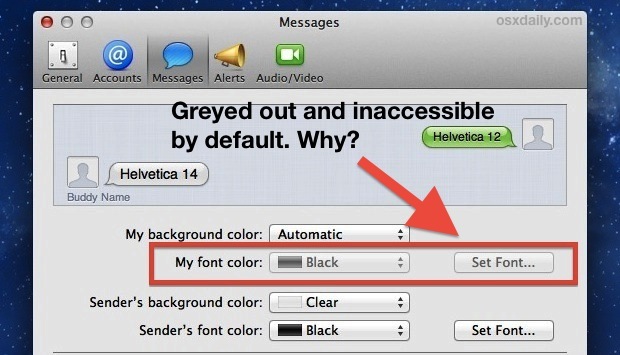 A curious default setting that has certainly raised a few eyebrows. You need to update your instructions…this info is 4 years old and not applicable to El Capitan.